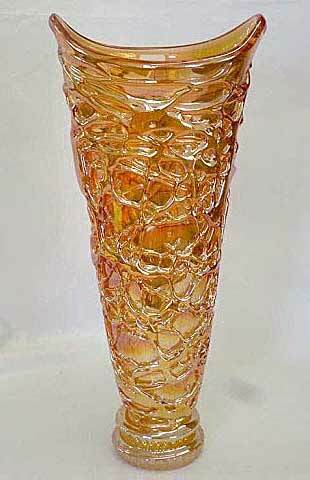 I know nothing about this marigold vase except that it 12 1/2 inches tall and sold at auction in 2011 for $155. it appears to be a blow-molded vase, so I'm assuming it's US made. Photo courtesy of Seeck Auctions.